The officially licensed Krampus Movie Mask from the new Christmas Classic, Michael Dougherty's Krampus. Become the feared title character from the horror movie Krampus! This amazing mask comes directly out of the screen used Resin Masters, which were provided by Weta Workshop and finished by Justin Mabry. 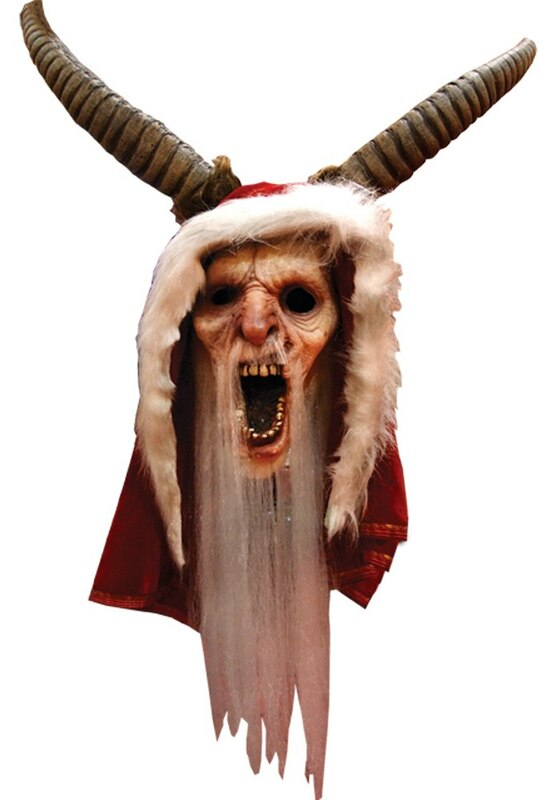 Krampus mask includes, horns and Santa hood. 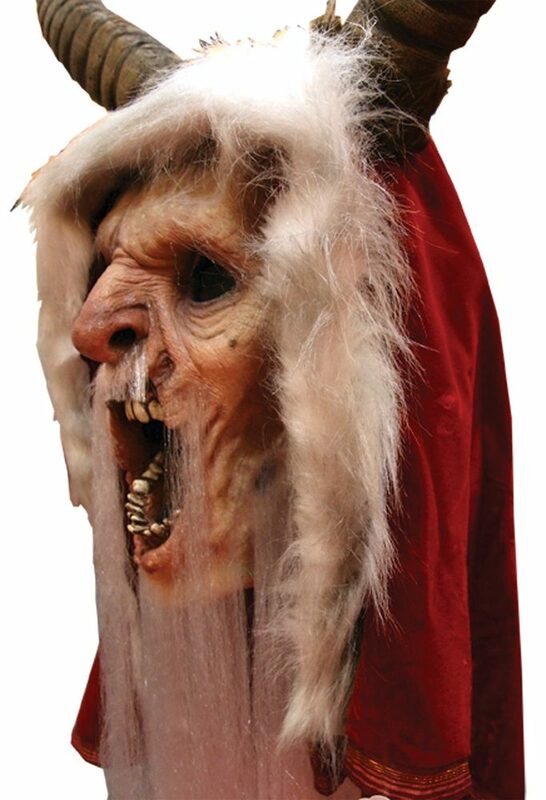 So pickup our Krampus mask so that you can be the ultimate Anti-Santa this Halloween. One size fits most adults.